Matt Matros, three-time World Series of Poker bracelet winner is preparing for yet another victory this summer. If he pulls it off, he will be counted among poker superstars such Bill Boyd and Doyle Brunson. 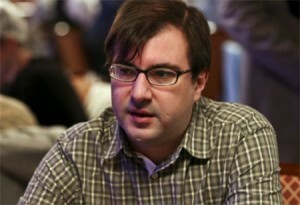 Three time WSOP champion Matt Matros is hoping luck will be on his side for the fourth time. Matros’ winnings are no less staggering than the sheer skill of his game: last year he won $454,835 with $1,500 No-Limit Hold’em Six Handed, in 2011 he walked away with $303,501 while in 2010 Matros earned a handsome $ 189,870 at the 1,500 Limit Hold’em event.